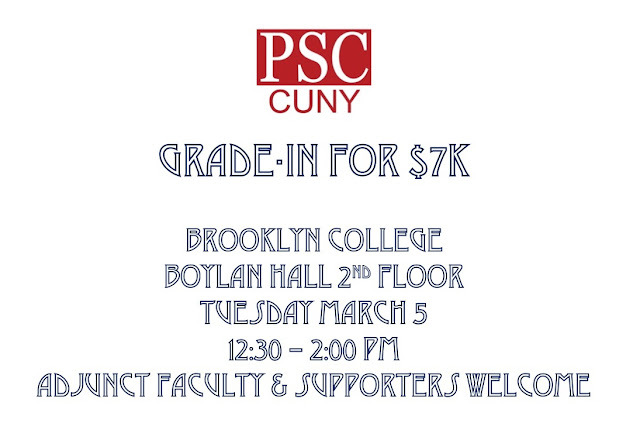 It’s April, the weather’s turning warm, but the Governor is keeping us out in the cold as CUNY’s senior college students, faculty, and staff see little good news in the State budget. Feeling frustrated? Take your frustration out the old-fashioned way! 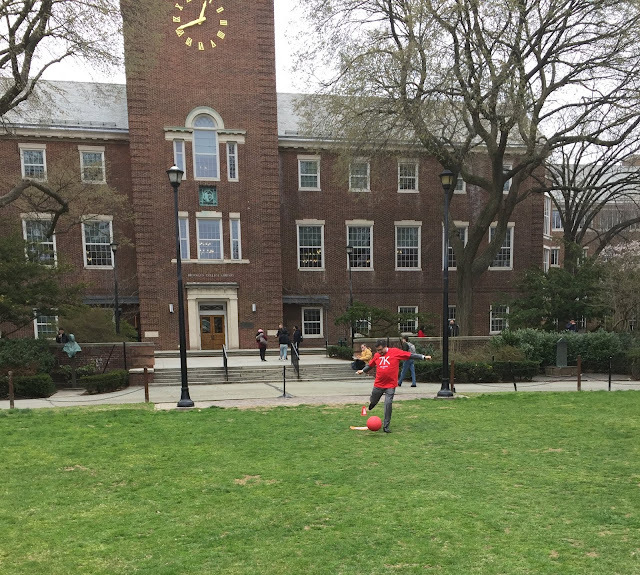 With kickball on the East Quad in solidarity with your colleagues and students. 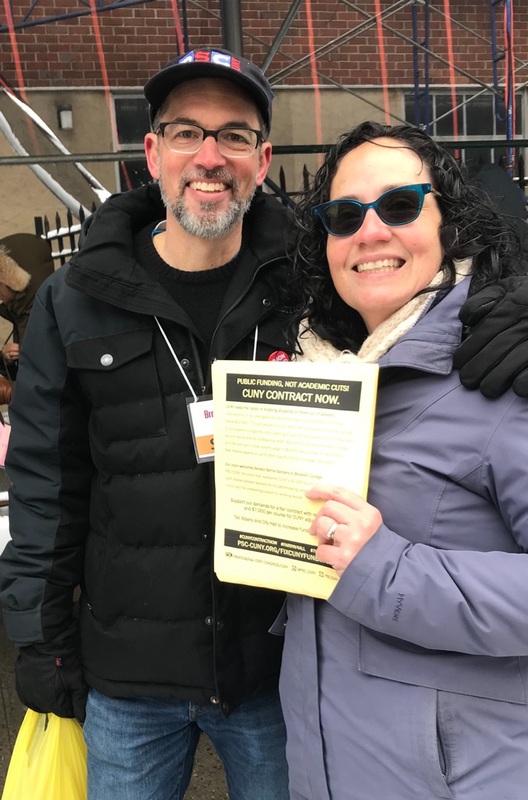 It’s time to pivot the contract campaign to getting new funding before the State legislative session ends in June, and getting the attention of the City Council and Mayor, whose budget arrives next. Bring your students, bring your officemates, take a booming kick or two at the kickball for a bases-clearing home run! Let’s blow off some steam and rejuvenate for the struggle ahead. Wear RED for ED! BC PSC Executive Committee members Alan Aja (Puerto Rican & Latino Studies) and Joseph Entin (English / American Studies) collaborated with Jeanne Theoharis (Political Science) to pen this incisive op-ed in the Daily News. 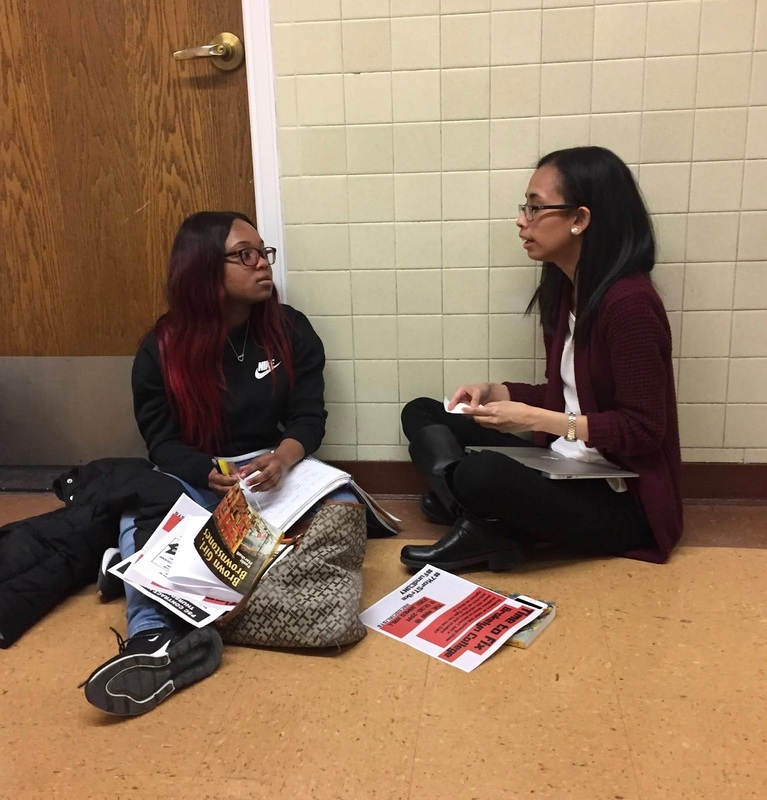 "The True Crime in Higher Education: How We've Abandoned Public Universities Like CUNY". Alan, Joseph, and Jeanne co-direct BC's innovative Mellon Transfer Student Research Program. 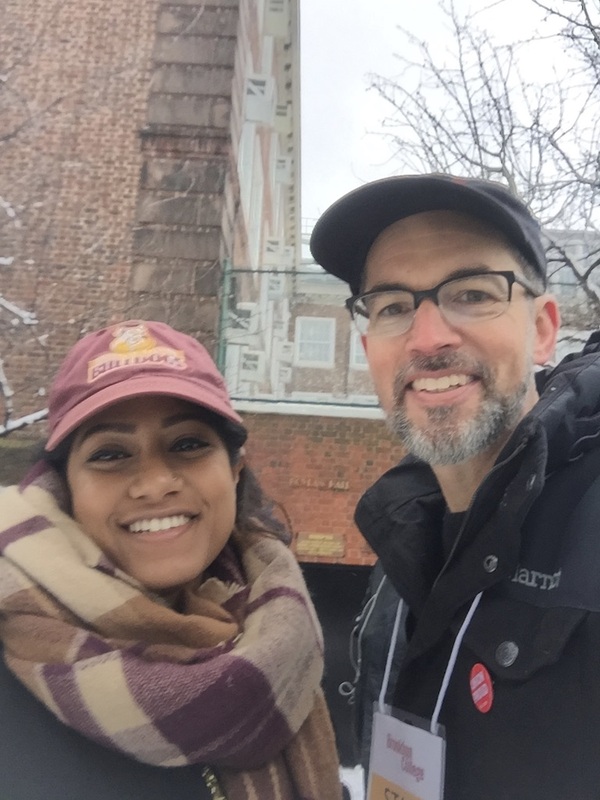 PSC members joined the CUNY University Student Senate in a march from City Hall in Manhattan across the Brooklyn Bridge to Borough Hall in Brooklyn. Their message to the State and City officials who are finalizing their annual budgets is - like ours - quite simple: Fund CUNY! News 12 and other local outlets covered the event. 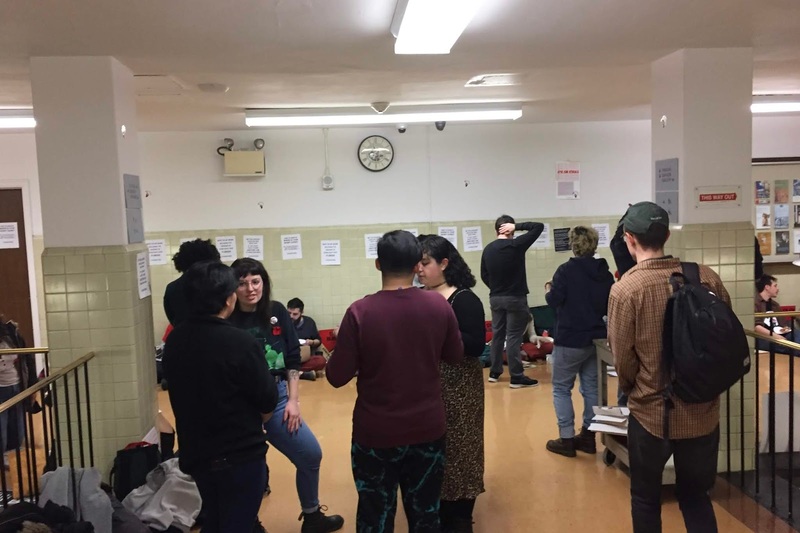 The PSC held two spirited demonstrations at Governor Cuomo's office and on the steps of City Hall on March 14. 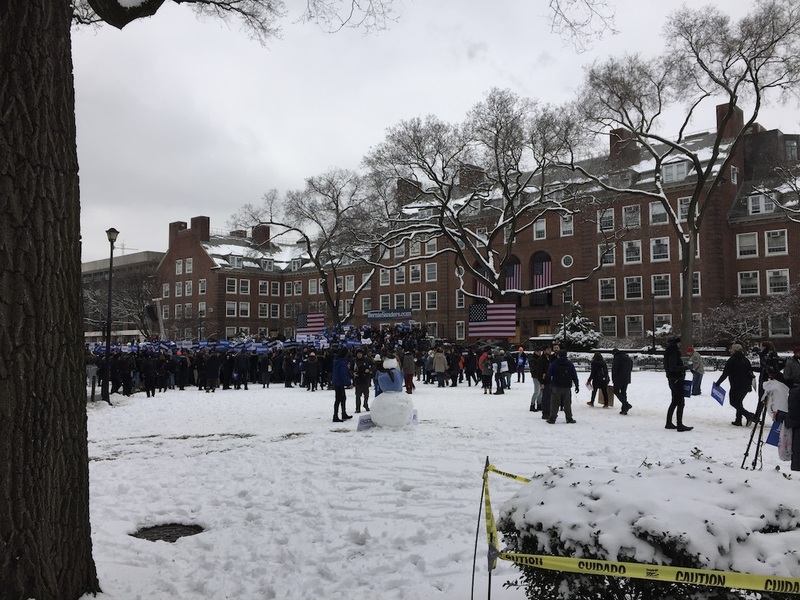 At City Hall, labor leaders and student government spoke in support. 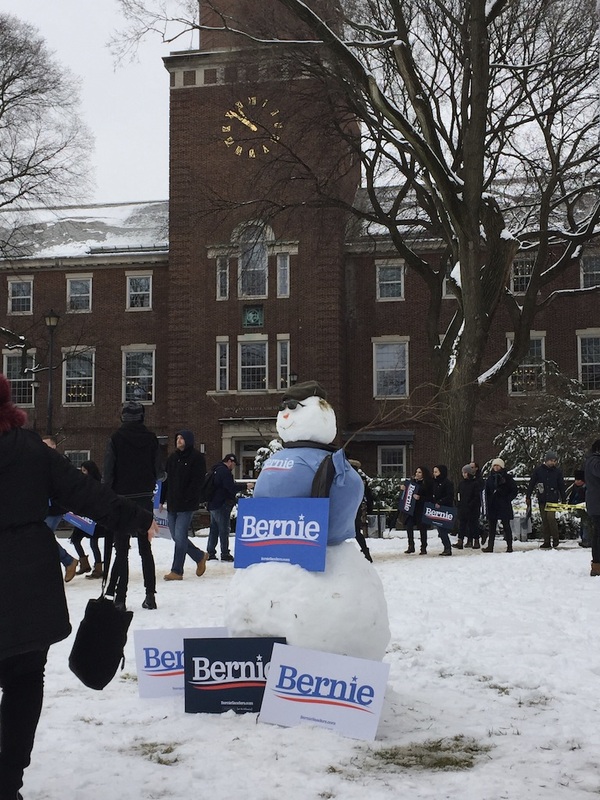 Brrrrrrr!ooklyn College was the launch site for Bernie Sanders 2020 Presidential campaign on March 2. 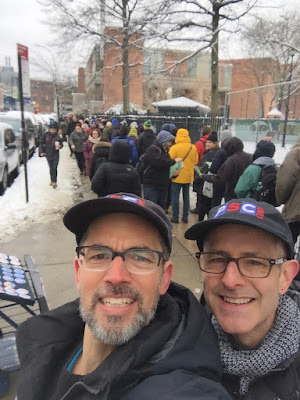 Undeterred by "Vermont weather," BC PSC Exec Committee members worked the lines outside the gates in the morning, which included BC alumni. We leafletted and discussed funding for NY public higher education and our labor contract. We asked attendees to use the PSC link to urge support from elected officials. 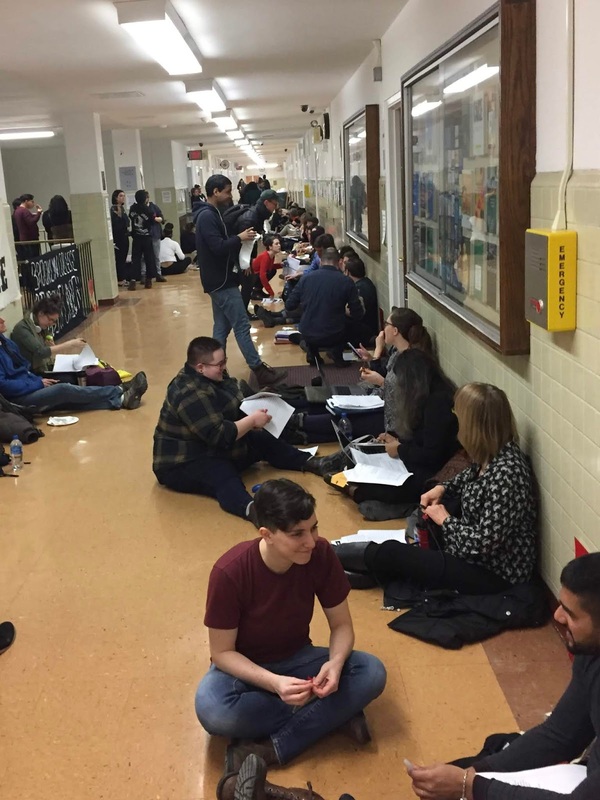 Over 50 participants came out for this Grade-In outside President Michelle Anderson's office. Photos below. BC Professors Davis (English), Hashmi (TV/Radio), Scher (Sociology), and Arnow (Computer Science) with Brooklyn's 21st New York district Senator Kevin Parker after lobbying meeting in Flatbush.